10 Reasons NOT to miss the Gasparilla Music Festival March 8th and 9th in Tampa! I don’t know about you, but this dreary day today has me singing the blues, but don’t worry friends the clouds are clearing up just in time for the weekend (hellloooooo 70’s) just in time for one of my favorite music festivals, the Gasparilla Music Festival (GMF). 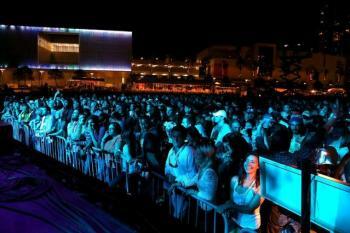 Who is boogying with me all weekend long in downtown Tampa’s Curtis Hixon Waterfront Park? Clearly, you already made plans to be there (without knowing I was going), but just in case you or on the edge… and not quite sure yet, you are in luck! We’ve got “10 reasons NOT to miss GMF this year” thanks to my friend Manny Leto! 1. Do you realize? The Gasparilla Music Festival is your only chance to see the Flaming Lips in Florida. 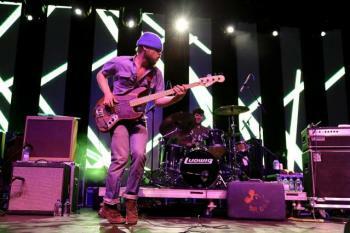 GMF is the band’s first show in the Tampa Bay area since 2010 and their only scheduled date anywhere in the Sunshine State. 2. Music, music, music. 40 bands, four stages, two days. 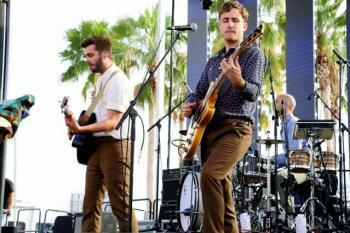 What other Florida fest offers such an impressive lineup of national and local acts featuring everything from Indie rock to reggae, alt country to afro-Cuban funk? 3. Taste real Tampa. GMF features a locals-only food lineup showcasing the best restaurants and cuisine the city has to offer. Ella’s, Café Hey, The Refinery, Seabreeze, Malio’s, and more. You won’t find the typical midway offerings here. Instead, taste Tampa’s best independent eateries at GMF. 4. Bring the kids. Want to catch some tunes but don’t know what to do with the little ones? Bring ‘em with you! Admission is free for children under 12, and GMF features children’s entertainment and activities from 11 a.m. until 2 p.m. Plus, GMF’s readmission policy allows you to enjoy the fest with the kids and then return to rock after you’ve dropped them off at home with the sitter. 5. Discover local talent. GMF features some of the Bay Area’s best locally-grown performers, from Tampa’s Sons of Hippies, to Sarasota’s Good Graeff, to St. Petersburg’s, Alexander and the Grapes. 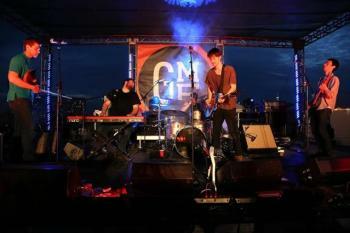 Find out what Tampa Bay’s music scene is all about at GMF. 6. Center your Chakra in the Yoga Rhythm Lounge. Have some fun in the sun getting your sun salutations in while enjoying downtown Tampa, and invigorating your body and soul with DJ Brian Jackson and drumming by Mike Bowen. Yoga Rhythm Lounge starts at 10 a.m. on Saturday before the gates open. 7. Raise the Bar with George Dickel. Sip a hand-crafted cocktail at GMF’s custom-built George Dickel bar. Tampa Bay’s top bartenders will serve up signature drinks while you soak in the tunes. 8. Chill out in the beer garden. Enjoy craft beers and sample new brews by SweetWater Brewing Company in the GMF Beer Garden. 9. Rock locally, think globally. 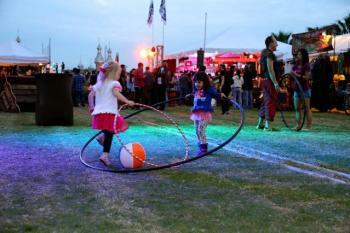 GMF is committed to hosting an environmentally sustainable festival. This means festival-wide recycling, providing a variety of transportation options including a bike valet service hosted by Coast Bikes, composting stations for all food vendors, and the purchasing of local carbon offsets created and donated by Gainesville&apos;s We Are Neutral. 10. Support your city. The Gasparilla Music Festival is a 501 C3 non-profit organization, run by an all-volunteer board of directors. Proceeds from the money you spend at GMF goes right back into our local community, helping fund music scholarships, instruments for public schools, and, of course, next year’s festival.